Captain Kirk: "No beach to walk on." Yeoman Rand: "Sir?" 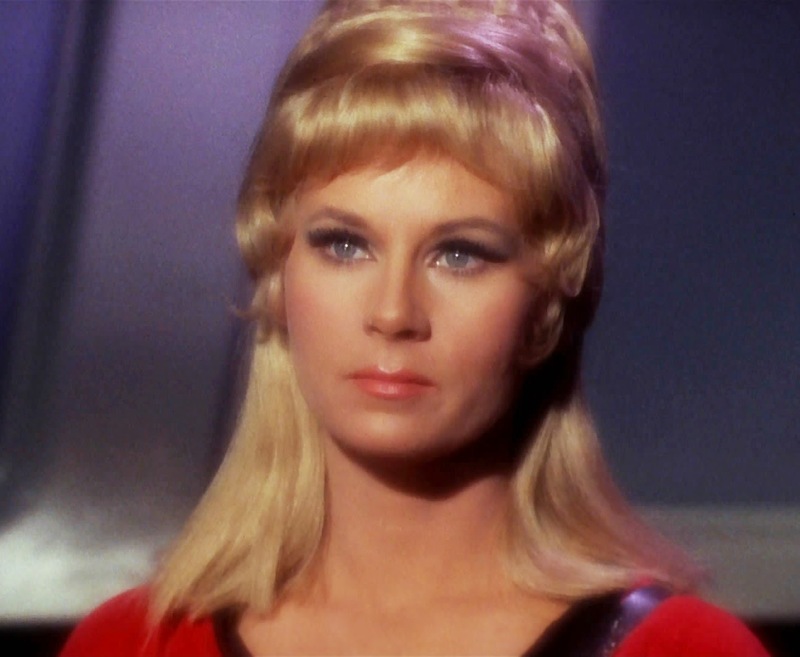 Actress Grace Lee Whitney, who was most well known for playing Yeoman Janice Rand on the original “Star Trek” series, died May 1 in Coarsegold, Calif. She was 85. A recovering alcoholic, she helped many people with addiction problems through women’s prisons or the Salvation Army. Her family told NBC News that she would prefer to be remembered more as “a successful survivor of addiction” than for her “Star Trek” fame. Her death was announced by StarTrek.com, which recounted that she was dropped from the show after the eight first episodes and turned to drugs and alcohol before getting treatment and regaining her career with help from Leonard Nimoy. Interestingly, Proofreader reports that Yeoman Rand had more dialogue in the first fifteen episodes than any other supporting actor except Scotty. She was always a favorite of Star Trek fans. William Shatner, George Takei, Nichelle Nichols and Walter Koenig still survive.